Colorado Christmas Trees with a twist! Our lot has all the classic elements of an old time tree lot. Complete with a friendly staff, free candy canes, music, and the freshest Christmas Trees in Denver. We promise you’ll love your tree! Our Christmas trees come directly from the farms to our location in Denver. Fresh trees arrive weekly ensuring yours will be as fresh as possible. We have a variety of sizes and the best trees to choose from. We are a one stop shop for anything and everything CHRISTMAS! Along with 3 different tree types, fresh garland and wreaths, We are here to serve YOU. Established in 2004, Arvada Christmas Tree Lot is a second generation family-owned Christmas Tree business. Our trees are freshly cut, loaded onto trucks, and immediately shipped to each of our locations from the beautiful Cascade Mountains in Oregon and Appalachian Mountain Range in North Carolina each season. Our goal is to create an unparalleled experience when visiting one of our locations to pick out the perfect tree for the holiday season. Free Christmas bows and candy canes are always provided at our locations to make our customers’ experiences pleasant and enjoyable with their family and loved ones. Each of our friendly and knowledgeable staff members help assist customers with identifying, selecting, and purchasing their desired tree. 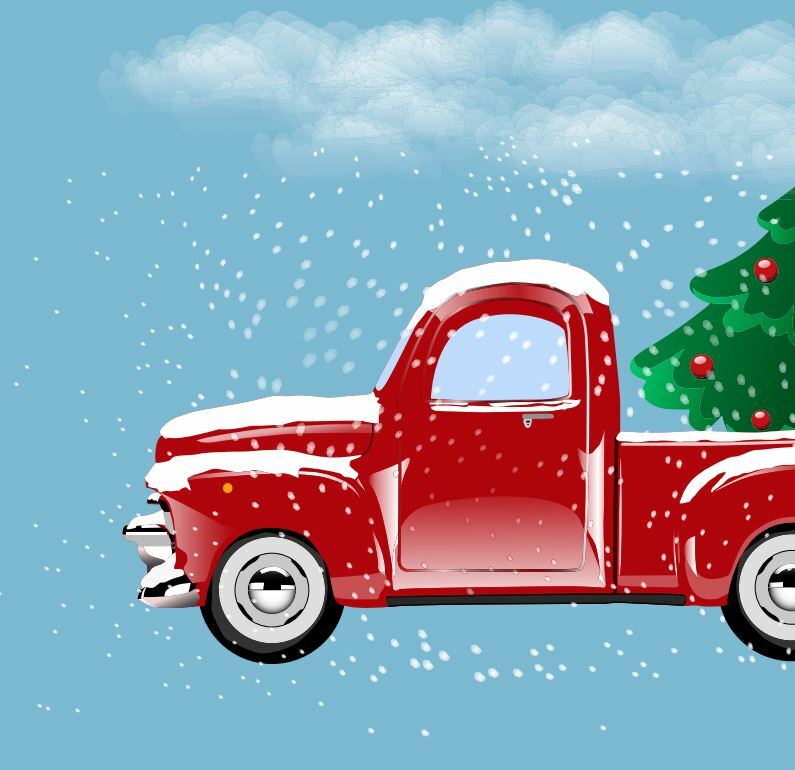 We also tie down the trees to customers’ cars before departure (free of charge) and offer delivery and online orders. 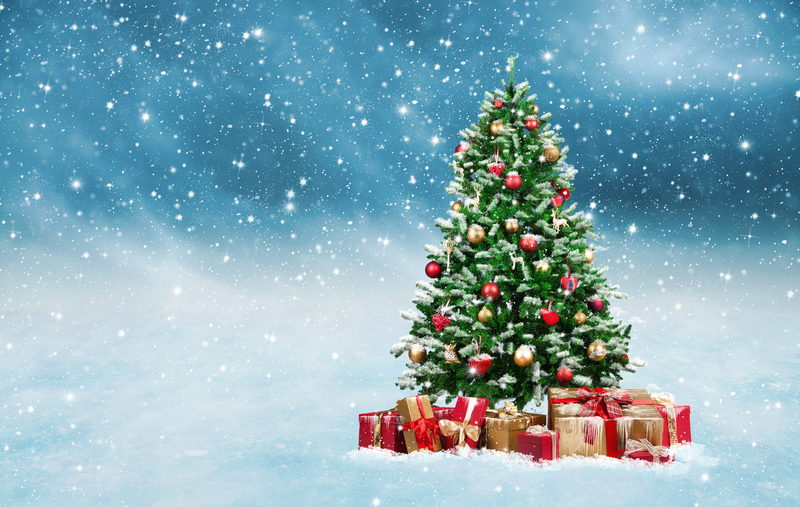 Additional items such as wreaths, garland, tree bags, stands, and tree preservatives are also available to make customers’ one-stop Christmas Tree shopping experience easy, convenient, and affordable! A beautiful symmetrical tree with bluish green needles. The branches of the Noble Fir are very sturdy and great for hanging heavy ornaments and lights. A unique Christmas tree with layered flat branches. The needles are medium length with dark green on top and a blue underside. A great Christmas tree for families that want to try something new. 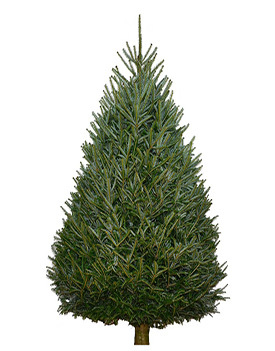 Fraser Fir Christmas Trees are known for their up-turned branches and full look. 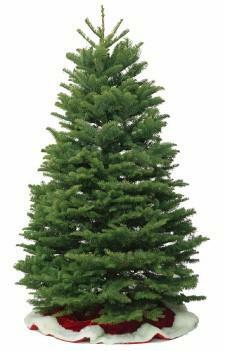 Fraser firs have very sturdy branches that wont sag with heavy ornaments and lights. You will be greeted by one of our team members when you arrive who will explain the tree types and sizes that we offer. Once you select your tree our team will apply a Fresh cut so that your tree can drink water to stay healthy and fresh throughout the season. If you have your own stand make sure to bring it and we will put it on for you! Once the stand is applied we will make sure the tree is straight and that you are happy with it. From there we will secure the tree to your vehicle with twine to ensure a smooth and safe ride home. Our delivery & installation service is the total package. We ensure safe transport from our location to your home or business. Our comprehensive delivery package includes stand application, transportation of goods, set-up and installation. Our Delivery team will give you a call once they have an estimated time of arrival inside your booking window and once when they arrive.